Hannelore Smith is a multi-disciplinary artist based in North Norfolk. Originally trained in Textile Design at Chelsea College of Art & Design, she is concerned with the surface. She creates textural, monochromatic, compositional works using textiles, printmaking and 3D processes. 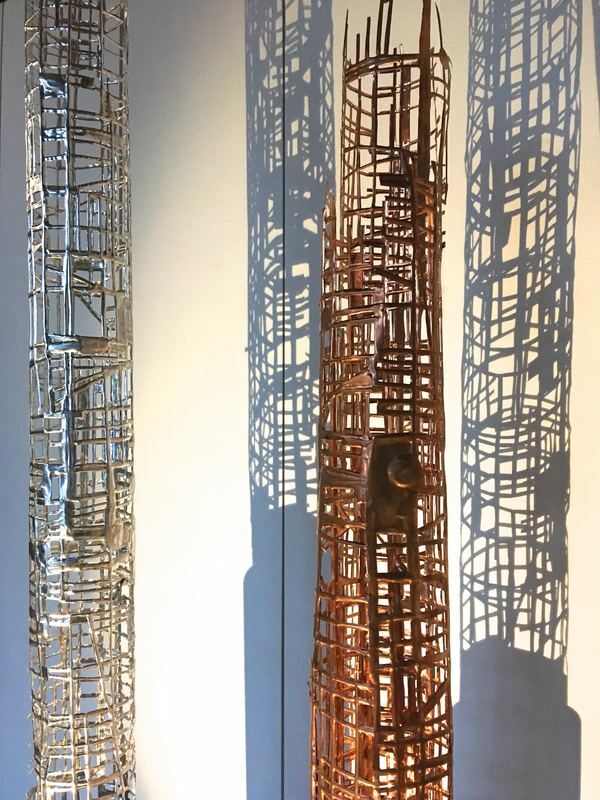 Exhibitions include Cley Contemporary Art Exhibitions, 'Pinpoint' curated by Polly Binns, as well as group shows; 'Workman' and solo exhibitions 'Cartography' and 'Monumental'. With a grandfather a cabinet-maker, father an architect and husband an electro-mechanical engineer, Hannelore Smith has spent her lifetime witness to the untold hours that go into constructing our environments. Architectural blueprints and the multitude of processes related to physical construction all inform her work and use of materials. A childhood spent playing amongst piles of reclaimed wood, holding the end of the measuring tape on a building site and watching the draftsman and craftsmen conjure two-dimensional skeletal drawings into functional and beautiful spaces. Interested in documenting the intangible and unseen, in my recent work I look to the workbench. The accidental saw marks scribed into the surface are a catalogue of moments in time, measurements taken, projects realised. The happenstance compositions lead me to create textural castings and strong monochromatic prints suggestive of rhythmic cityscapes, scaffolds, and aerial viewpoints. The selection of materials and process are integral to the work; spent engine oil reflective of the elbow grease and hard graft of the workman - out in the elements, with their bleeding knuckles, filthy hands and worn out knees.